Exercise-induced pulmonary hemorrhage (EIPH), also known as bleeders, is a disorder that is commonly found in horses running at high speeds (predominately racehorses but also 3-day event horses, polo ponies, pulling horses, and barrel racers) that results in blood in the lungs. In one study, it was confirmed that almost all thoroughbred racehorses sampled had experienced some degree of EIPH. However, only a small portion of affected horses may show any obvious clinical signs. 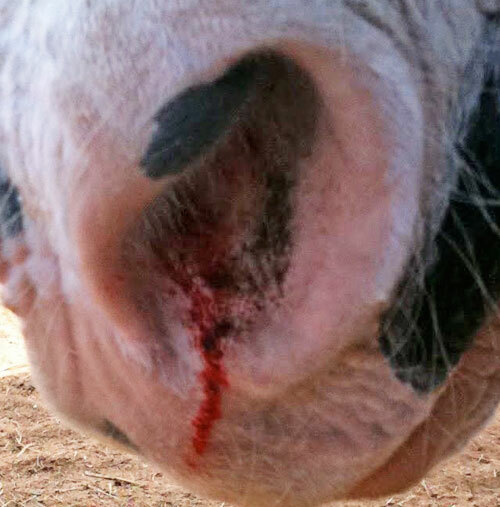 The presence of blood in the nostrils occurs in only 5% of racehorses after galloping. However, 75% of horses that received an endoscopic examination after races showed evidence of blood in the trachea. On rare occasions, affected horses may develop a severe fatal pulmonary hemorrhage following a race. EIPH generally has minimal affect on the horse's performance, however in some horses EIPH may have an impact on their exercise tolerance, causing them to back out during a race and show obvious signs of respiratory distress. There have also been reports of horses with EIPH that continue to bleed into the lung for several days to weeks following a race; these horses will usually be lethargic and dull due to progressive anemia caused by the prolonged bleeding. The University of California-Davis is currently conducting clinical trials to test the efficacy of Furosemide Dosed in racing horses 4 hours vs 24 hours Pre-Race. Eligible horses must be racehorses currently in training. Click here for additional information about the research and clinical trial. Furosemide (Lasix) Is permitted as a preventative treatment for EIPH up to 4 hours prior to post time in North American racing jurisdictions, including California. 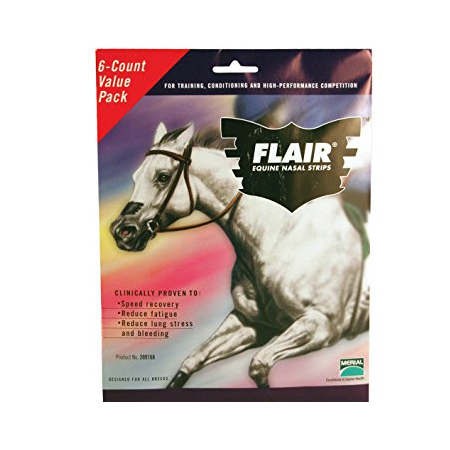 Flair nasal strips Help to reduce intrathoracic pressure through the use of resistance created by unsupported soft-tissue structures of the horse's nasal passage. Management-related Switching to a reduced dust bedding substrate and minimize dust exposure. Reproducibility of endoscopic grading using tracheobronchoscopy in racehorses University of Pretoria. Horses performing high intensity activities such as racing, cross country courses, etc.